Not bad looking. I like the chubby design. Anonymous, 21 Jul 2010What a joke!! This has got to be the lamest, most pathetic phone in 2010 for nokia! 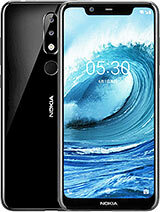 And nokia,... morenow that's just ignorant of you..there's nothing wrong with symbian, especially s60 3rd edition... I'd rather have symbian with free voice guided navigation than apple with dozens of fart apps or android with 10 clock designs for the desktop...the symbian os is plenty stable, can work with few resources, which means less money and more battery life. Hamza Sadiq, 20 Jul 2010When will it come to pakistan and what will be the price?beta phone price gonna b around rs-12000 on..ly..only.. When will it come to pakistan and what will be the price? i think it is a bit too rectangularly pointy..
Its an E-series on a slide. Nice. prianka...how could u say that?...u dont even have it nor even just the shadow..don't judge as if u have one. amirking, 16 Jul 2010Same nokia features in new shape... nothing exceptional.right...thr is nothin so special or different!!! well AT&T would probably get this kind of phone...and not always the best ones from Nokia that's why some AT&T user's prefer iphone, blackberry, HTC w/(android OS).It's so limited (been there so i switch to unlocked phones and still with AT&T's data plan).